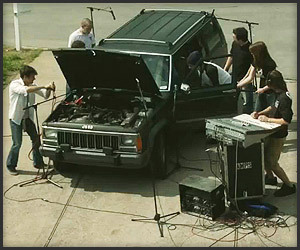 Using a Jeep Cherokee as a sound booth generator instrument together with a bunch of people Julian Smith has created a genuinely interesting track of beat music. Everyone began rehearsing their parts 2 weeks before the video was shot, which took 7 hours of filming to get a solid take. Oh what joy, it is, on one horse open sleigh !